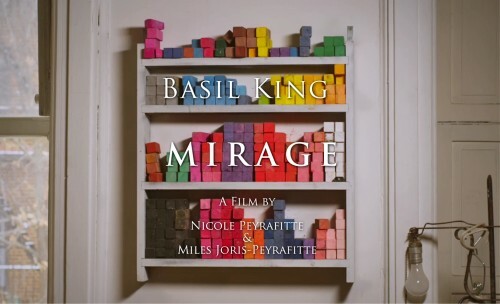 SPECIAL NOTE-“Basil King:MIRAGE” film is available. Use these links! 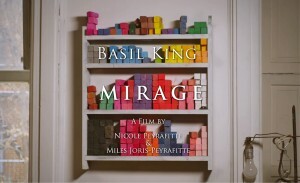 Links to the website for the film, “Basil King: MIRAGE” are disabled. But the film is available! Opening title for the film on Basil King. To purchase a Blu-Ray CD of the film (for the best reproduction) -suitable for any non-commercial use- contact gpwitd1@gmail.com. The CD is available for $25, which includes shipping and handling. 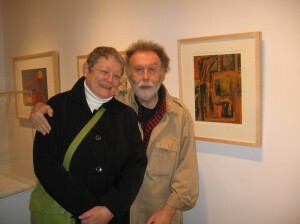 Curated by Vincent Katz and Brian Butler, at the Black Mountain College Museum & Arts Center, Asheville, NC. 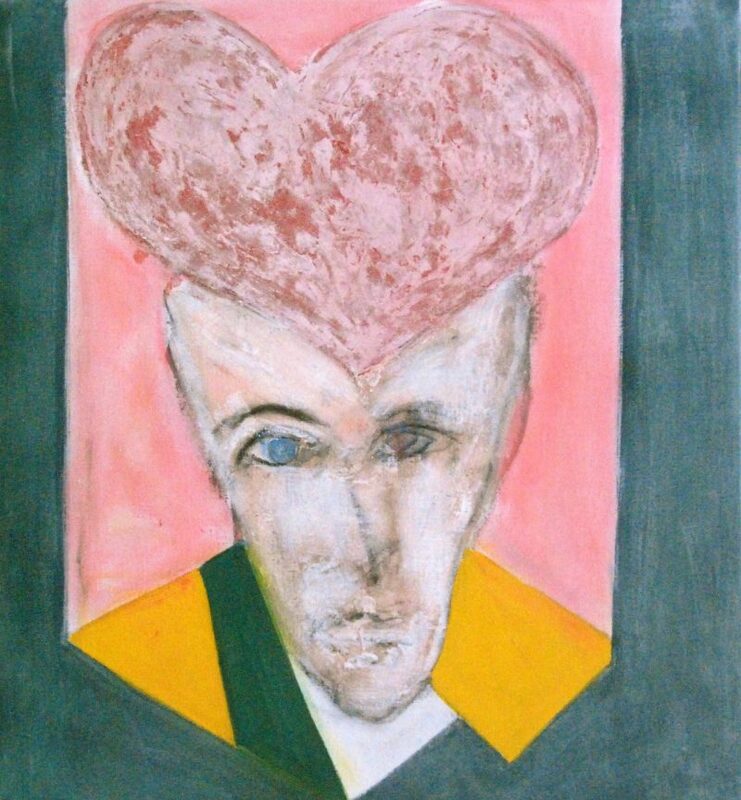 This show will include paintings using images from playing cards, texts of King’s poetry, his covers for poetry books and journals, along with a large selection of his works on paper. 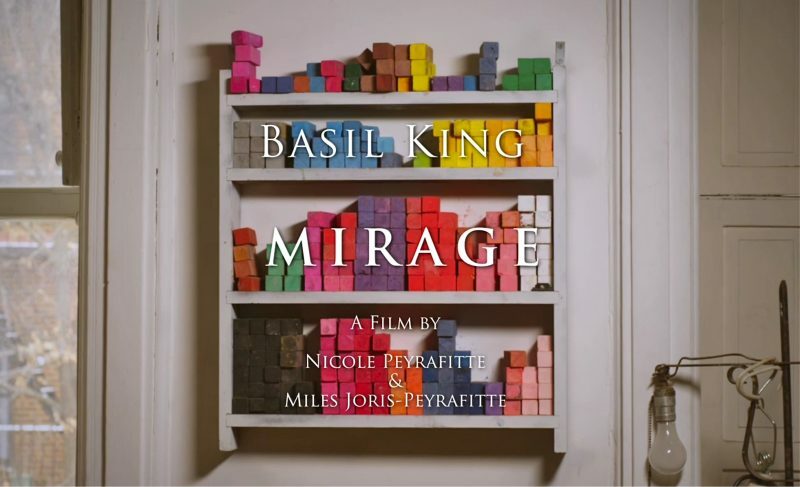 He’ll give a poetry reading and there will be a screening of the Nicole Peyrafitte & Miles Joris-Peyrafitte film, “Basil King: MIRAGE” on September 1. King will do a ‘walk-through’ talk on his work at the opening on September 2. On Sunday, September 4, Martha and Basil will share their experiences reading and editing each other’s work. 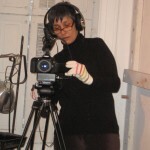 Workshop will include brief readings, critiques, and audience discussion of process. From the Queens: Queen of Hearts/The Academic. With great pleasure – but not that much surprise – we note the SUNDANCE film festival’s special jury award for Miles’s first full-length feature As You Are. The lack of surprise is due to seeing Miles work when he was still a Bard College undergrad on the 2013 short Basil King: MIRAGE along with his mother, multimedia artist, Nicole Peyrafitte. 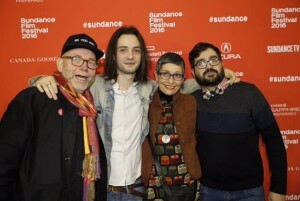 Seen above, poet (and dad) Pierre Joris, Miles, Nicole, and brother Joseph Mastantuono, who did post- production on both the King film and Miles’ new dramatic feature, at SUNDANCE. 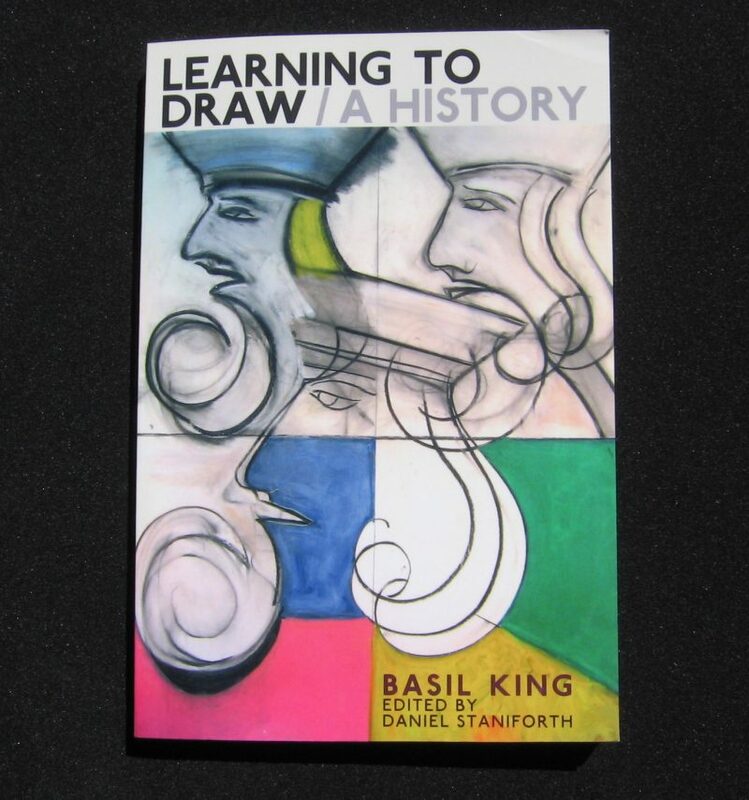 This film, commissioned by The Friends of Basil King, takes 22 minutes to present an introduction to Basil King’s art and poetry, with skillful filming of his work and his studio and a voice-over narration provided by King reading from this 2003 book, mirage: a poem in 22 sections. 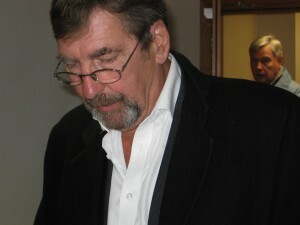 It has since been screened at the Beverly Mass. Film Festival, Anthology Film Archives (the premiere), Kent and Sussex universities and Brookes Oxford Art School in England, the Asheville Museum, the North Carolina School of the Arts, the Walker Art Museum in Minneapolis, and informally at readings in London, New Haven and New York. Opening title for the film. 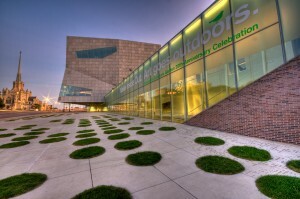 All the events are open to the public as well as the AWP attendees. 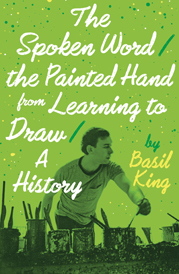 Nicole Peyrafitte will introduce the screenings, and Basil will be signing his latest book, The Spoken Word/The Painted Hand from Learning to Draw, Marsh Hawk Press, 2014. First of all, Brookes Oxford is a new university in Oxford, not the ancient dreaming spires establishment. It was named in 1992 to honor its first principal … but was previously known as Oxford Polytechnic and before that as the Oxford School of Art. A hundred years old and today quite new. Today’s university is exploding with students from less than privileged England and from all over the post-colonial world. They are taking high-tec courses in architecture, engineering, research, computer sciences, web design and, as ever, art. Sussex is older and younger than Brookes. It was the first of a wave of British universities that opened in the 1960s, full of enthusiasm for exploring new relationships among teachers, learners, and the materials they might choose to draw from. Fifty years on, it still attracts left-leaning politically progressive students, many of them readers and writers of poetry, but it is very very far from operating with a disseminated power structure, and for being a face of changed possibilities. 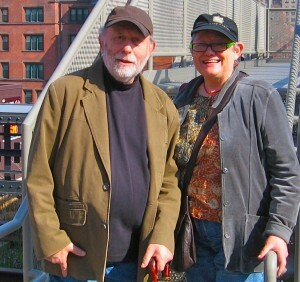 We both read from our work, we screened Basil King:MIRAGE, Baz spoke about Olson’s classes and read his introduction to Charles Olson at Goddard College (from Cuineform Press, documenting a three-day Olson class in Olson’s own words). And we screened the 10-minute version of George Quasha’s tape, Basil King: A speaking portrait. At Sussex we had two hours in a dauntingly enormous amphitheater. 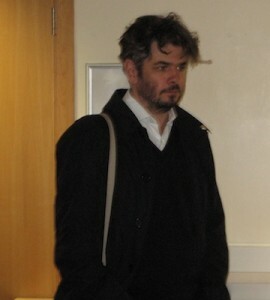 But it filled with 75 or 80 students, many of them already familiar with Black Mountain writers. A titter ran across the audience when I broke from my reading to recommend John Wieners’ work. Later, I was told the school has a corps of Wieners admirers, some of whom know all the Hotel Wentley poems by heart. We had two hours – and then the event repaired to an on-campus pub. We were mobbed. Finally Daniel Kane, head of American studies and our host, pulled us away, stuffed us into a cab, and took us for a wonderful but much quieter dinner at a pub in Brighton. When the Brookes bell rang signaling 4pm, the end of our session, only some of the audience got up to go, apologizing several of them. They nailed us for telling them that Black Mountain had no set end times for classes. At BMC if something was happening, everyone stayed, stayed until the subject -or the people- were depleted. Or until a natural end. We couldn’t quite do that at Brookes…in part because our energy ends before subjects do, and in part because the room we occupied was assigned to something else at 5pm. Our host whisked us away for hot coffee and Panini, which we badly needed. The bigger question from all this is why U.K. students in three different institutions (and others elsewhere?) 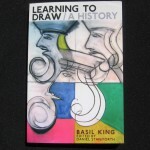 are looking with such interest at poetry written 60-some years ago – and expressing instant enthusiasm for Basil’s current work which was totally new to almost all of them – as well as responding to our BMC recollections. I had one abortive attempt after another from the time I was a student. I had one idea about making money by writing “The Black Mountain Bean Book,” with bean recipes and tales of Black Mountain, where I first leaned to cook. Nothing. Nothing. I didn’t really start until after my first visit to U.K. – my first visit since leaving at age 11. It was a shock. When I got back to the U.S. I had a temporary job teaching painting and drawing. I was filling in for a friend at Rutgers Newark. There was a huge gap between her morning and late afternoon classes. I sat in my friend’s office, began using her yellow legal pads, and I couldn’t stop. 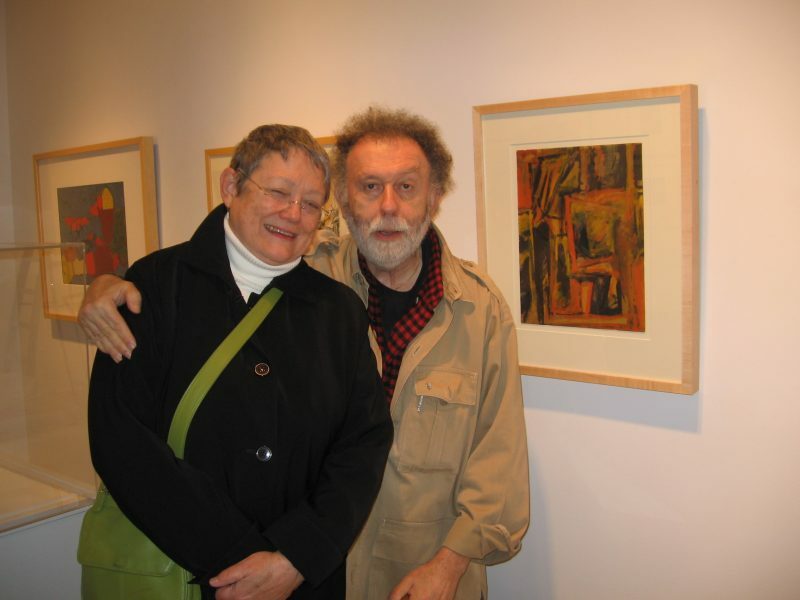 What was it like being a woman at Black Mountain College? Difficult. Attitudes about women were very much of the times, that is Olson’s were. I was unfortunately quite inured to the idea that women were some kind of “other” and not ever to be full members of the boys club. 1956! Your painting is sometimes abstract and sometimes figurative. Why? I can’ t separate one from the other. If you were going to study art today where would you go? I don’t know what I’d do now. If I were a teenager today I might want to do something completely different. As it was I’d begun painting when I was 14. Two words: quiet and intense. Martha read from memoir about moving to New York in 1957—and finding a place where Baz could paint and they could live for $50 a month. Down at the bottom of Manhattan Island, a block from Battery Park, when that was below what the cops called the “Fulton Street deadline.” It was almost totally uninhabited and fabulously empty all night long. Then Mark Lamoureaux projected the film, “Basil King: MIRAGE.” We had to do the reading first because sunlight streams into their high floor near Wooster Square till well past 9 pm and Mark and Rachel have white translucent blinds. Mark had a screen and a projector for the DVD disk. But not the BluRay version. It was so well received people asked to see it again. As a filmic introduction to painter/poet Basil King it is quite properly layered, nuanced, intricate and deserving of multiple viewings. Once again, thanks to Nicole Peyrafitte and Miles Joris-Peyrafitte. Stay tuned for news of future screenings! NEWS: June 19, 2013. 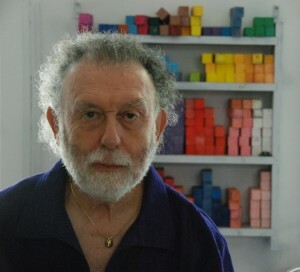 Mark Lamoureux and Rachel Chatalbash are hosting a screening of the film, “Basil King: MIRAGE” and the video of the conversation between Basil and George Quasha, “Art is Not Natural,” at 7:30 PM in their loft in New Haven. The film, created by Nicole Peyrafitte and Miles Joris-Peyrafitte, is a portrait of the artist featuring his paintings, graphics, and text from his long poem, mirage. 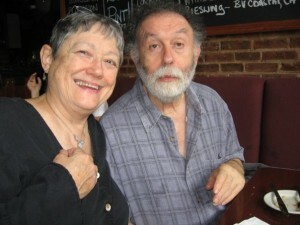 Basil and Martha will be on hand to read their prose and poetry and talk. Books will be for sale at “reading” prices – and guests are welcome. Visit Mark Lamoureux’s EVENTS page on Facebook for details.